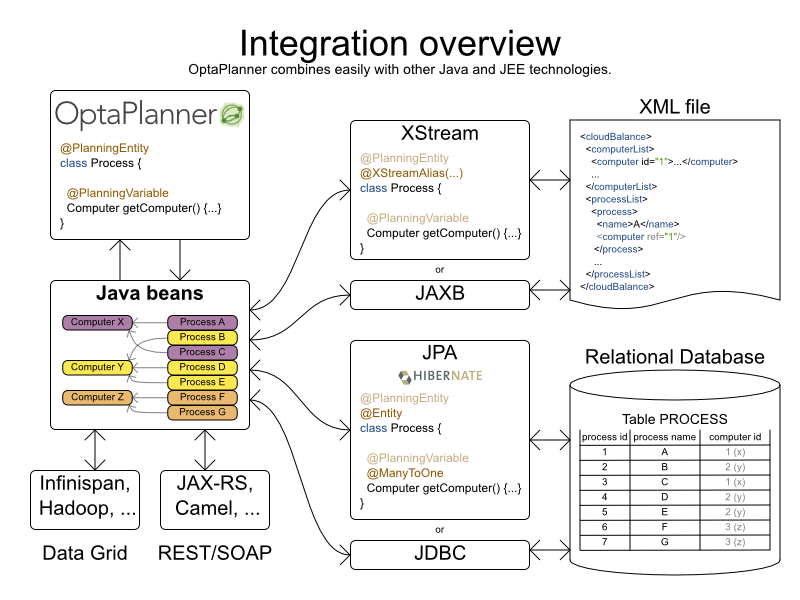 OptaPlanner is a constraint solver. It optimizes business resource planning use cases, such as Vehicle Routing, Employee Rostering, Cloud Optimization, Task Assignment, Conference Scheduling, Job Scheduling, Bin Packing and many more. Every organization faces such scheduling puzzles: assign a limited set of constrained resources (employees, assets, time and money) to provide products or services. OptaPlanner delivers more efficient plans to improve service quality and reduce costs. 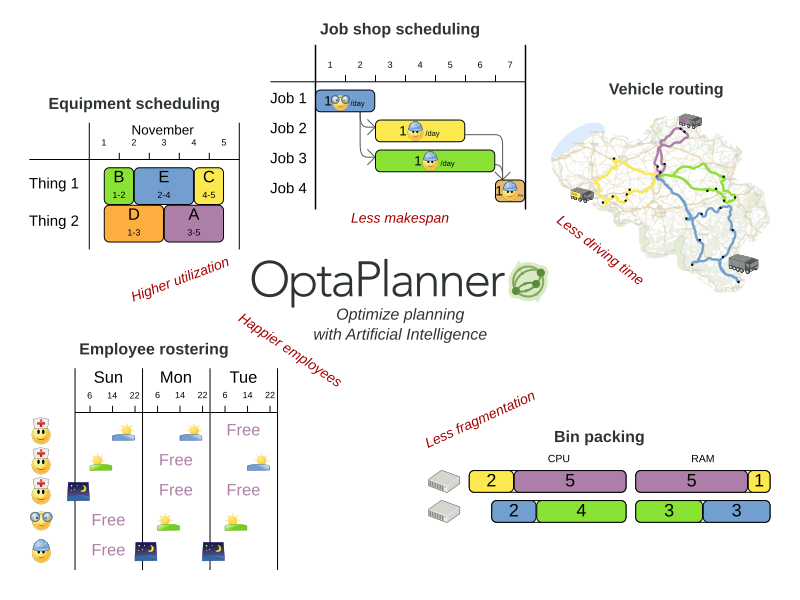 OptaPlanner is a lightweight, embeddable planning engine. 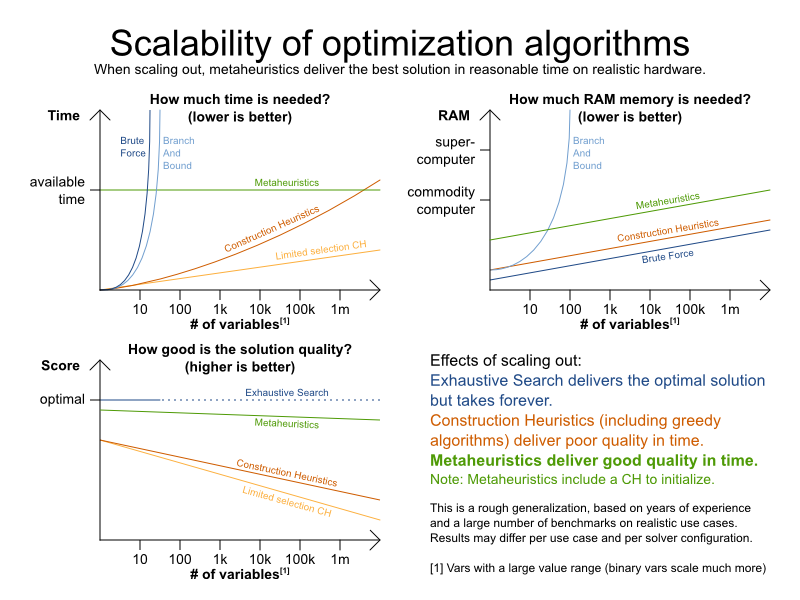 It enables normal Java™ programmers to solve optimization problems efficiently. 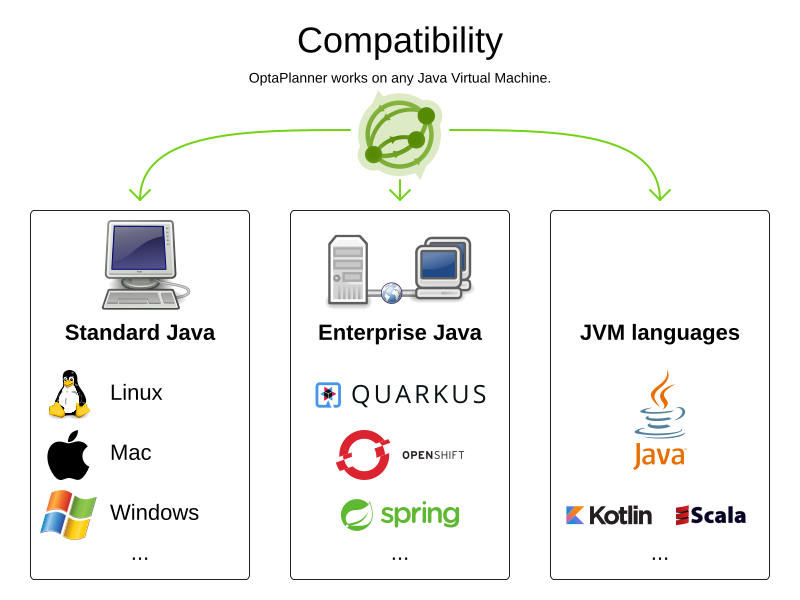 It is also compatible with other JVM languages (such as Kotlin and Scala). Constraints apply on plain domain objects and can reuse existing code. There’s no need to input them as mathematical equations. 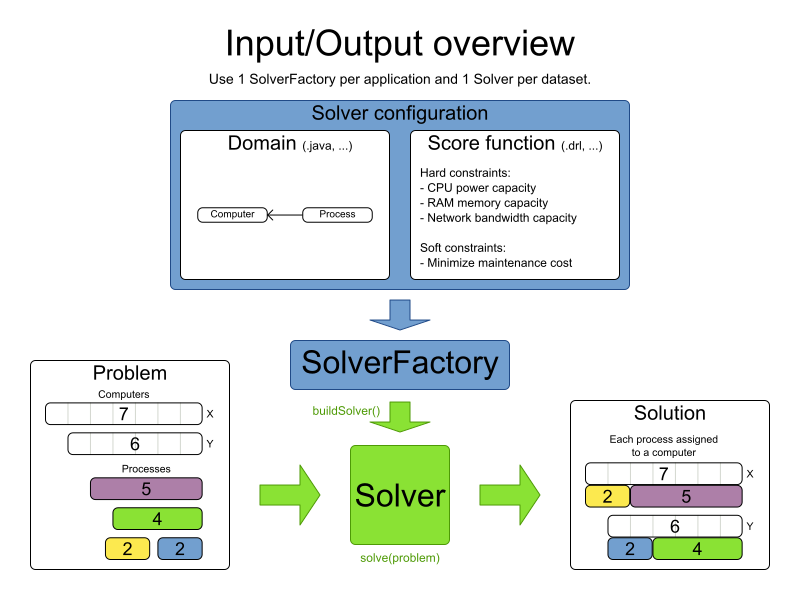 Under the hood, OptaPlanner combines sophisticated optimization heuristics and metaheuristics (such as Tabu Search, Simulated Annealing and Late Acceptance) with very efficient score calculation.